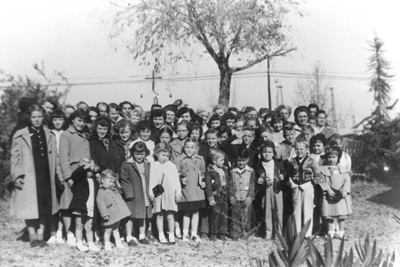 The ministry of RiverLakes started as a rural outreach to young children, through the American Sunday School Union, in 1930. Over the years, parents noticed how the lives of their children were changing. In response to the impact this outreach had on their children and a number of evangelistic meetings, a small informal church was formed. In 1949, this enthusiastic body of believers incorporated their small growing church under the name of Fruitvale Community Church. Newly completed sanctuary building on 7229 Rosedale. A house on the corner of Patton way and Rosedale was used for Sunday School Classes, nursery and occasional potlucks. 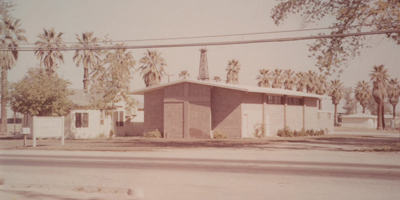 The church continued to see growth over the years and the first worship sanctuary was built and completed in 1959. 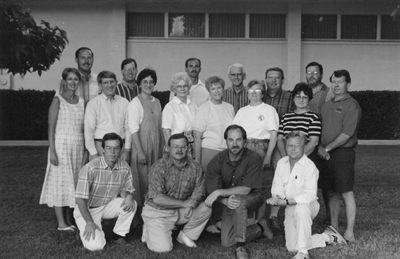 As the Lord brought more and more people to the ministry, Sunday School buildings, fellowship gatherings and offices were added through the years. The Lord continued to challenge the people of Fruitvale to trust Him to reach more and more people for His kingdom. By the mid 1990’s, the church was thriving and it became very clear that the current facilities could no longer support the number of people flocking to the ministry at Fruitvale. By His sovereign and providential hand, the Lord provided this faithful group of believers 25 acres of land at 4301 Calloway Drive to relocate the church and prepare it for the future. 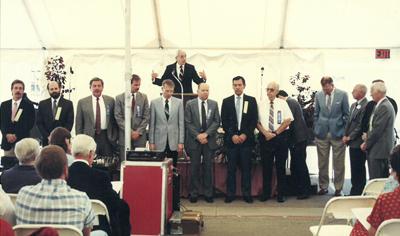 In 1998 construction of a worship sanctuary and Sunday School facility began on this new site. On July 4, 1999 the first official worship service was held in the new sanctuary. In order to better identify with the people in the surrounding community of this new location, the Elders determined to rename the church to RiverLakes Community Church. The Lord has taken RiverLakes on quite a ride since those early years. As we have continued to teach the Word of God faithfully and accurately, focused on engaging nonbelievers with the goal of sharing the Gospel and committed to growing our people to spiritual maturity in Christ, the Lord has continued to draw people to our ministry. Through faith and trust in our Lord Jesus, we will continue to follow His lead and be a church that Makes Disciples who Make Disciples for His glory to the ends of the earth.